Technically, summer doesn’t start until June 16th here but when you’re a student, it starts the very second you’ve finished with your last final. Since my last final is over tomorrow afternoon, I’ve started picking out potential reads for my short, (less than a month long), summer. To say I’m excited is an understatement. I’ve been waiting for this day probably since Easter vacation. The chance to read as much as I want without worrying about grades or homework is my idea of heaven. Christina over at The Ardent Reader is another blogger/college student who’s celebrating the beginning of summer, so we’re decided to host a small informal read-athon exactly a week from today. It’s called the School’s Out! 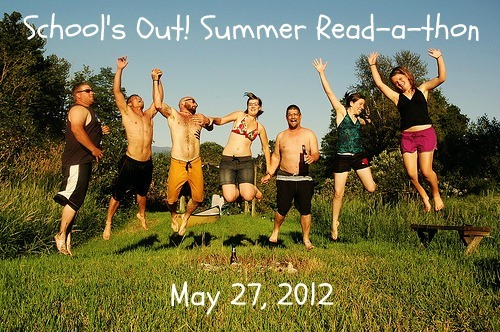 Summer Read-a-thon. Feel free to join us. You can read as little or as much as you want. 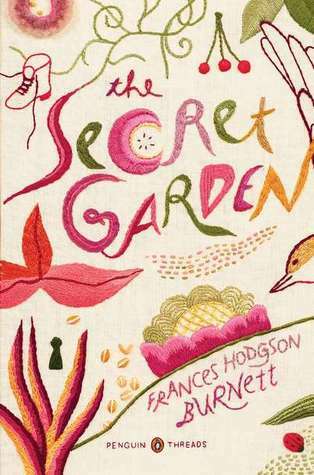 In case you didn’t know, Sheila over at Book Journey is hosting a read-along of Frances Hodgson Burnett’s The Secret Garden throughout the month of May. On the 31st, she’s hosting a virtual garden party with discussions on the book and giveaways. The Secret Garden is one of my annual spring reads but I wasn’t able to get to it this year. I plan on re-reading the book, watching the movie version, and re-reading Ellen Potter’s The Humming Room which was inspired by The Secret Garden. 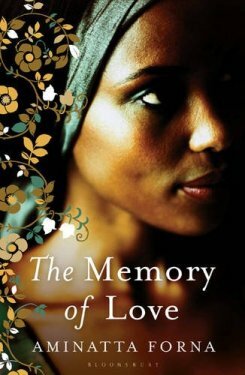 The Chunky Book Club is hosting its next book club discussion starting June 7th for The Memory of Love by Aminatta Forna. I can’t wait to read this. The book was a finalist for the Orange Prize, won the Commonwealth Writer’s Prize for Best Book, and is an Essence Magazine Book Club pick. You don’t have to be a participant of the Chunkster Reading Challenge and you can read this in any format. Now I’m off to cram study. What are you reading today? Months ago I saw the movie Big Fish based on the novel by Daniel Wallace. I absolutely loved the movie, so I decided to read the book. Hum… This was one of the few times where the movie was better than the book. Don’t get me wrong Big Fish is a good book, but it is not great. I expected more and did not get it. Just like the movie, Big Fish is about a son trying to get to know his father, but all his father is willing to tell him is stories, myths about what happened in his own life. Some of my favorite chapters are “The day he was born,” “The girl in the river,” “The day he left Ashland,” and “The old lady and the eye,” the story of a witch and her glass eye that can tell you your future. It’s the story in the movie that is my main reason for reading the book. The problem with the book at times is that it seems repetitive. Overall, I’m glad I read the book though. Right now I am reading The Book Thief by Markus Zukas. I have heard nothing but great reviews about this book. But I’m scared all the reviews might hype the book up too much. Has anyone ever had that problem? I’m loving the book so far. This is such a great book. I should have read this years ago. I’m glad that I’ve finally have. What can I really say about this classic that hasn’t already been said? It’s moving, funny, touching, heartbreaking… Does it ever seem like a miracle to you when you read good writing? I would read some fantastic passage and then have to put the book down and look around to see where I was physically at in the world. Mentally, I wasn’t here: I was in the Maycomb, Alabama; walking down Main Street with Scout, Dill, and Jem, running to meet Atticus as he made his way home from his office, huffed with Scout over Aunt Alexandra, my body and soul shaking at the injustice willingly done to Tom Robinson and so many unnamed people, and trying not to cry over the fate of Tom and the sadness I felt over Boo Radley and his life. This book is so simple and the characters so complex. But you understand them. This is one of my top 3 books. I’m a moody reader. What I read has to fit my mood or I won’t be able to get into the book. So I went to the library tonight and picked up a few that caught my eye. So now I’m changing my summer reading challenge list. So now I’m happy. I’m off to read.